Roy, R.H. and Richard Foot. "Canada and the Battle of the Somme". The Canadian Encyclopedia, 11 December 2018, Historica Canada. 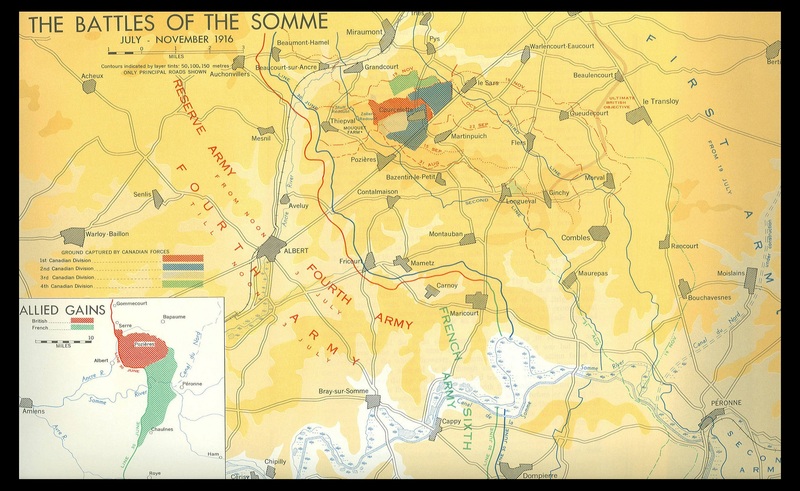 https://www.thecanadianencyclopedia.ca/en/article/battle-of-the-somme. Accessed 20 April 2019. The Battle of the Somme, also known as the Somme Offensive, was fought during the First World War from 1 July to 18 November 1916. In the summer of 1916 the British launched the largest battle of the war on the Western Front, against German lines. The offensive was one of the bloodiest in human history. Over the course of five months, approximately 1.2 million men were killed or wounded at the Somme. The Canadian Corps (see Canadian Expeditionary Force) was involved in the final three months of fighting. On the first day of the offensive, the First Newfoundland Regiment, which was not part of the Canadian forces, was nearly annihilated at Beaumont-Hamel. The Battle of the Somme produced little gains and has long been an example of senseless slaughter and the futility of trench warfare (see also The Somme). 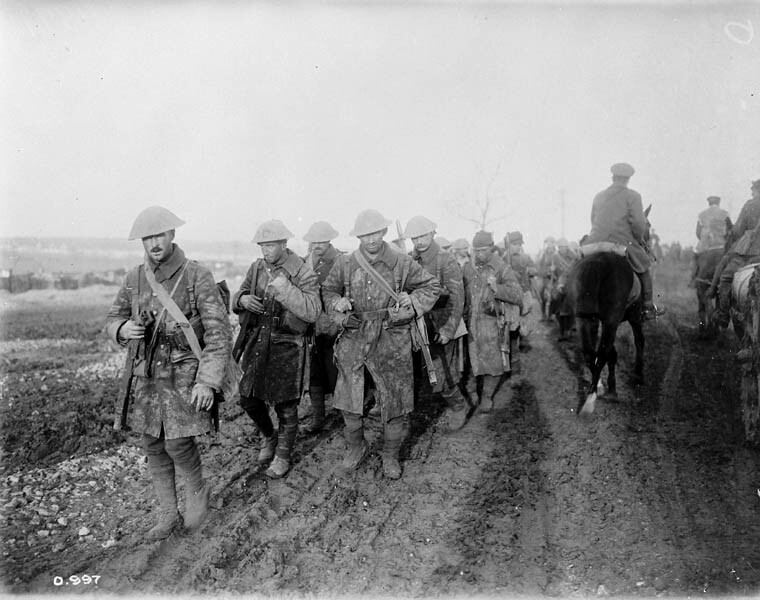 Canadian soldiers returning from the Battle of the Somme in France, November 1916. After two years of stalemate in the vast trench works held by the Allied and German armies on the Western Front, the British launched a massive offensive in the Somme River valley in northern France. It was hoped the assault on a 25 km section of the front would not only break the stalemate, but relieve pressure on beleaguered French forces defending against the long-running German assault further south, at Verdun. The Somme offensive opened with a massive artillery bombardment, which lasted five days and did little to knock out enemy troops and artillery guns. The Germans simply hid in their deep and reinforced dugouts until the barrage ended, emerging largely unscathed to face the oncoming attackers. Many British shells had also been poorly manufactured and turned out to be duds; others lacked the fuses necessary to explode on contact with the barbed wire strung across no man’s land between the opposing sides. 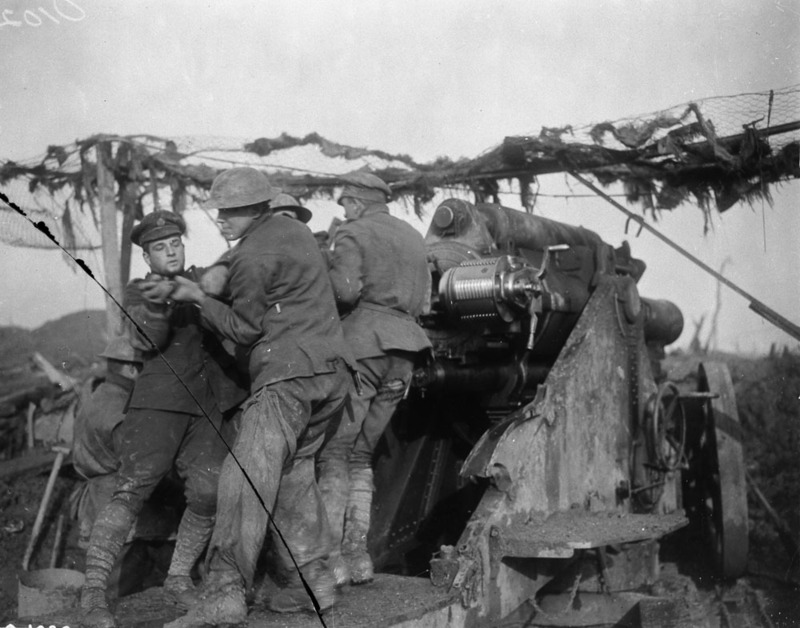 A Canadian heavy howitzer during the Battle of Somme, France. November, 1916. Image courtesy of Canadian Department of National Defence/Library and Archives Canada/PA-000917. When British soldiers “went over the top” of their trenches in the wake of the barrage, the result was catastrophe: tens of thousands were mown down by machine-gun fire or caught up in barbed wire and then killed as they tried to reach the German lines. The British lost more than 57,000 men killed or wounded on only the first day of the battle, with little to show for their sacrifice. At the northern end of the Somme front, near the village of Beaumont-Hamel, about 800 troops of the First Newfoundland Regiment were gathered on 1 July in a support trench nicknamed St. John’s Road. They were part of a third wave of troops to attack German lines. At 9:15 a.m., the Newfoundlanders	began their assault, crossing no man’s land in rehearsed lines. Out in the open, they saw that the first waves of British attackers had failed — the troops lying dead, or trapped in no man’s land, cut down by machine guns and artillery fire while trying to navigate a few narrow gaps in the barbed wire. The Newfoundlanders pressed forward into this firestorm. Some were hit before they even reached the front of the existing British lines. Others died upon reaching the base of the Danger Tree, a prominent tree halfway between the British and German lines, where enemy bullets soon found them. 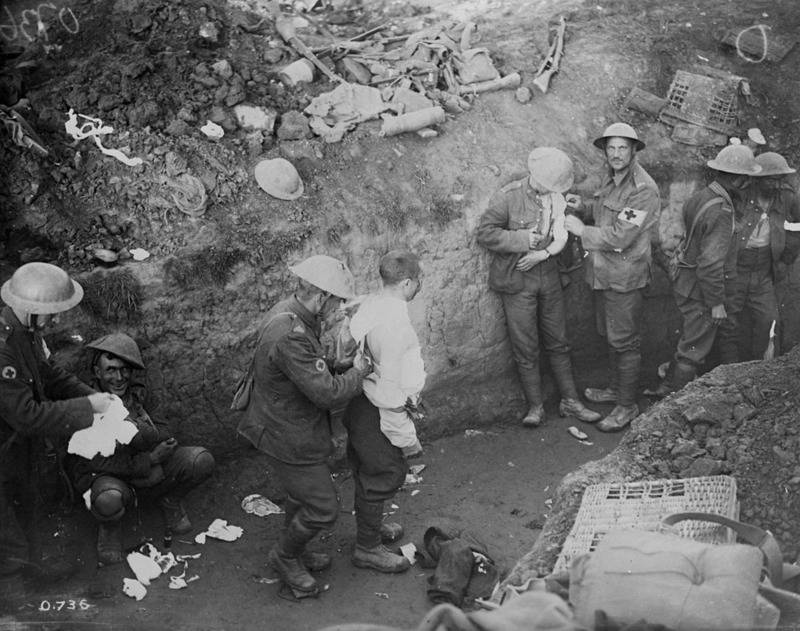 Less than 30 minutes after leaving their trench, it was all over for the Newfoundlanders. Small groups of survivors attempted in vain to fight on. Hundreds of injured men were left to fend for themselves on the battlefield through the night, where they died of their wounds or were killed by German snipers. More than 700 soldiers of the First Newfoundland Regiment were cut down at Beaumont-Hamel. Of the regiment’s 801 members, only 68 could answer roll call by the end of the opening day. 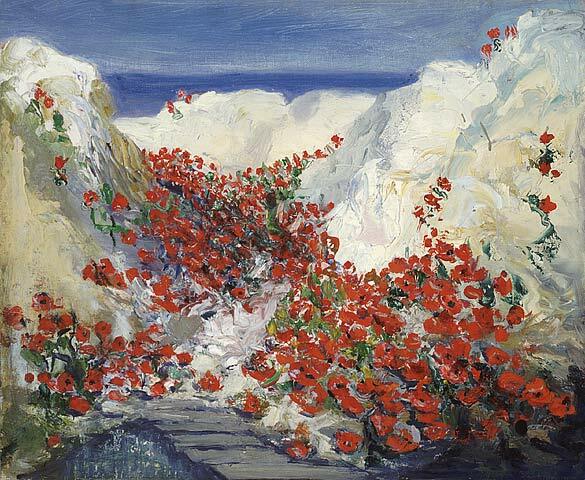 Every 1 July, while Canadians celebrate Canada Day, the people of Newfoundland and Labrador	gather to also observe Memorial Day in honour of the men who fought at Beaumont-Hamel. The battlefield of Beaumont-Hamel is now a park. At its highest point, a statue of a caribou, the official emblem of the Newfoundland Regiment, looks out over the field where so many died. 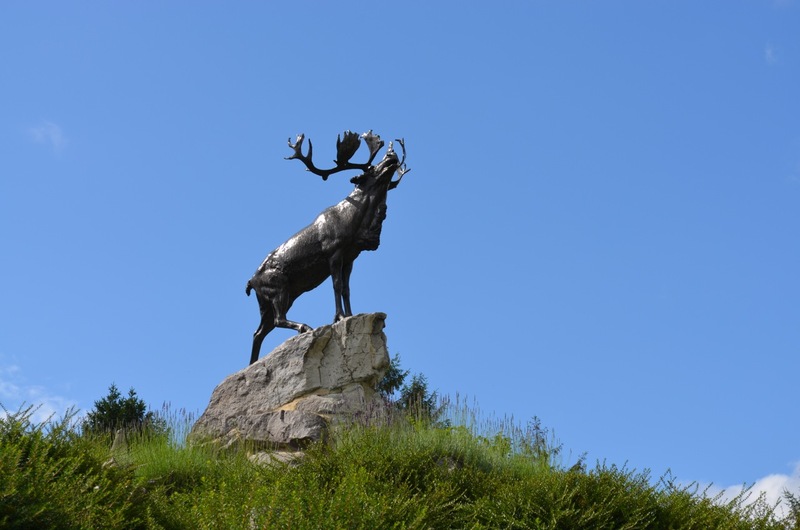 The caribou statue atop the memorial commemorating the Royal Newfoundland Regiment, at the Beaumont-Hamel battlefield, France. Canadian forces, stationed in Belgium near the city of Ypres, were spared the first few months of fighting on the Somme. By the end of August, however, with manpower on the Somme running low, the first three divisions of the Canadian Corps (see Canadian Expeditionary Force) were relocated to the battle to help with the offensive, still grinding on under the orders of British generals. The Canadians entered the battle on 30 August, taking part in a number of bloody attacks from September through November, supported by the first tanks used in action on the Western Front (see Armaments). The corps captured a series of strategic objectives including Courcelette, Thiepval and Ancre Heights. In November, the 4th Division of the Canadian Corps, then fighting alongside British troops, helped capture the German stronghold of Regina Trench. James Franklin, one of the first Black Canadians to enlist in the Canadian Expeditionary Forces was likely the first Black Canadian (and first Black North American) killed in action in the First World War. Franklin served in the 76th and 4th Battalions and was killed during the Battle of the Ancre Heights, part of the Battle of the Somme. 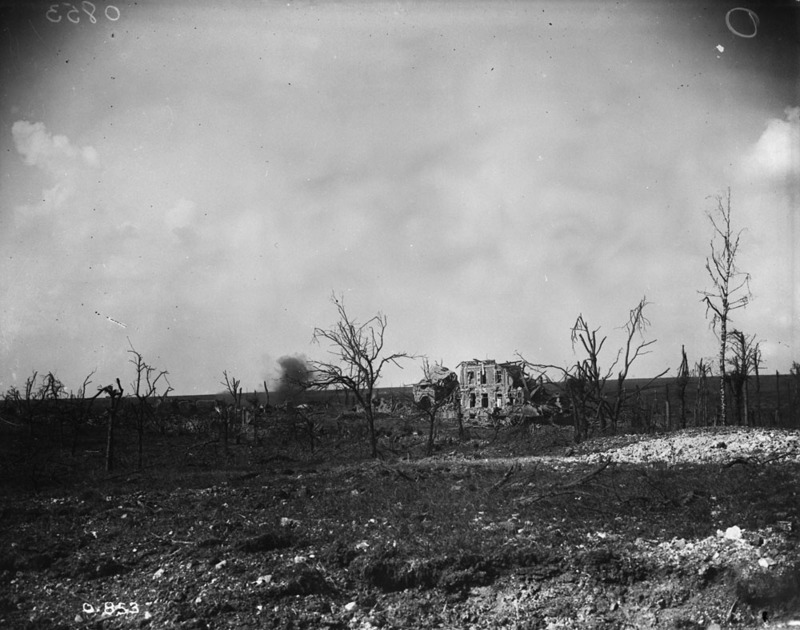 On 15 September, Canadian soldiers launched a large-scale attack, capturing the remnants of the village of Courcelette and holding their new ground in the following days against German counterattacks (see Battle of Courcelette). Tanks were also tried on the battlefield for the first time, alongside the Canadians, at Courcelette. Although slow, plodding and difficult to move, the large and imposing tanks were an effective psychological weapon against the Germans. Courcelette was captured by the Canadian Corps on the first day of the assault, a rare Allied victory on the Somme, at the cost of several thousand Canadians casualties. Only one tank met its objectives, the rest failed because of mechanical issues, becoming stuck or being hit by shellfire. The Royal 22e Régiment (or the Van Doos — from vingt-deux, meaning 22 in French) was the only francophone infantry unit in the Canadian Expeditionary Force that was active on the front. The Van Doos’ first major attack of the First World War	took place at Courcelette. 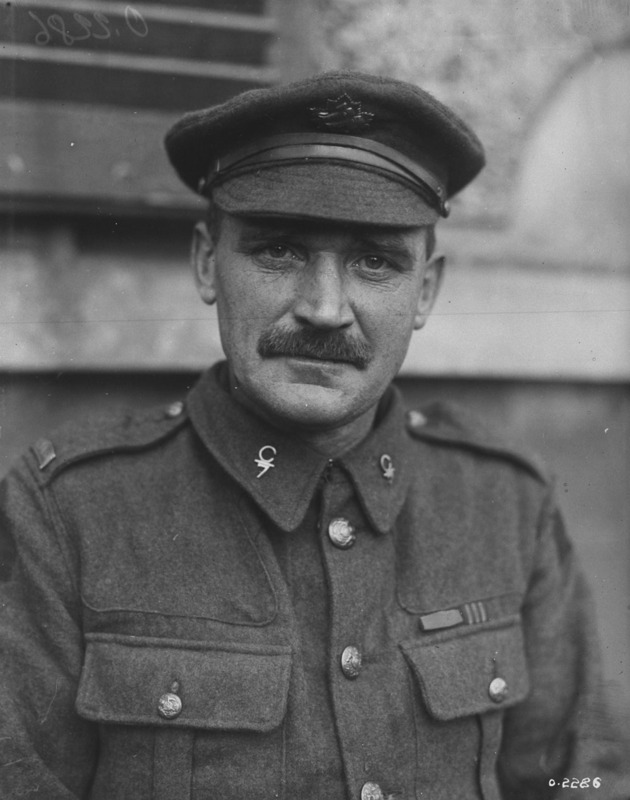 The French-Canadian soldiers, commanded by Lieutenant-Colonel Thomas-Louis Tremblay, pushed back repeated German assaults and held the village while surrounded on all sides for three days and three nights (see also The “Van Doos” and the Great War). Rain and snow finally brought the Battle of the Somme to an end. After five months of fighting, the Allies had only penetrated about 13 km along a 25 km front. 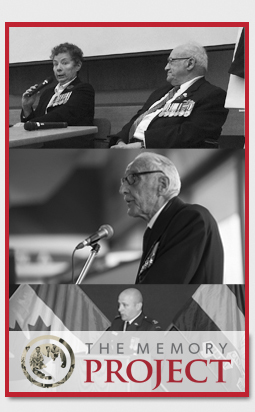 Allied losses were estimated at 614,000, of whom more than 24,700 were Canadians and Newfoundlanders. German losses were estimated at 440,000. 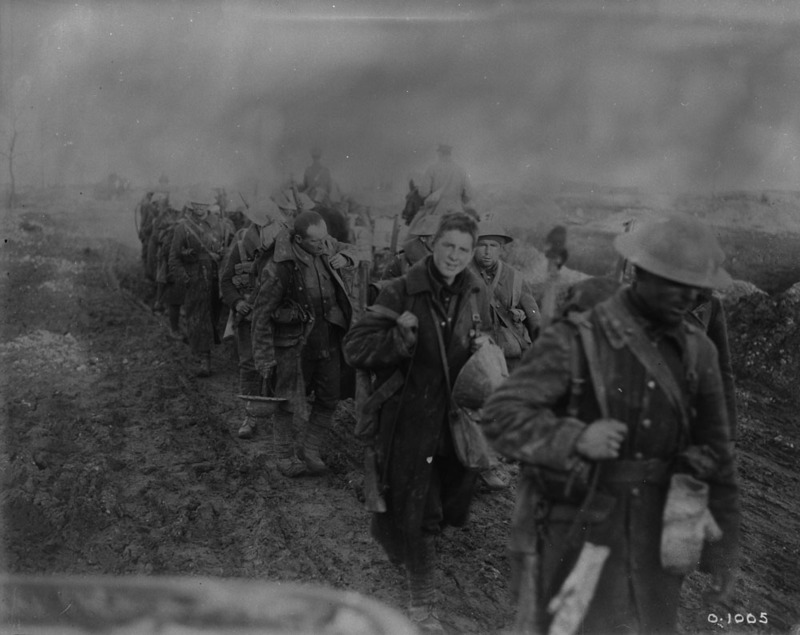 Canadian soldiers returning from the trenches during the Battle of the Somme, November 1916. The seemingly pointless slaughter on the Somme led to questions and severe criticism of the Allied leadership, especially General Douglas Haig, commander of the British Expeditionary Force, of which both the Canadian Corps	and the First Newfoundland Regiment were a part. But the offensive’s failures also sparked new thinking about military tactics — including the design of shells and the use of artillery, better planning and coordination among attacking forces on the battlefield, and the importance of allowing small groups of ordinary soldiers to exercise leadership and personal initiative during the changing fortunes of an assault. Some of these ideas were already being experimented with among the Canadian Corps in the final months of fighting on the Somme. 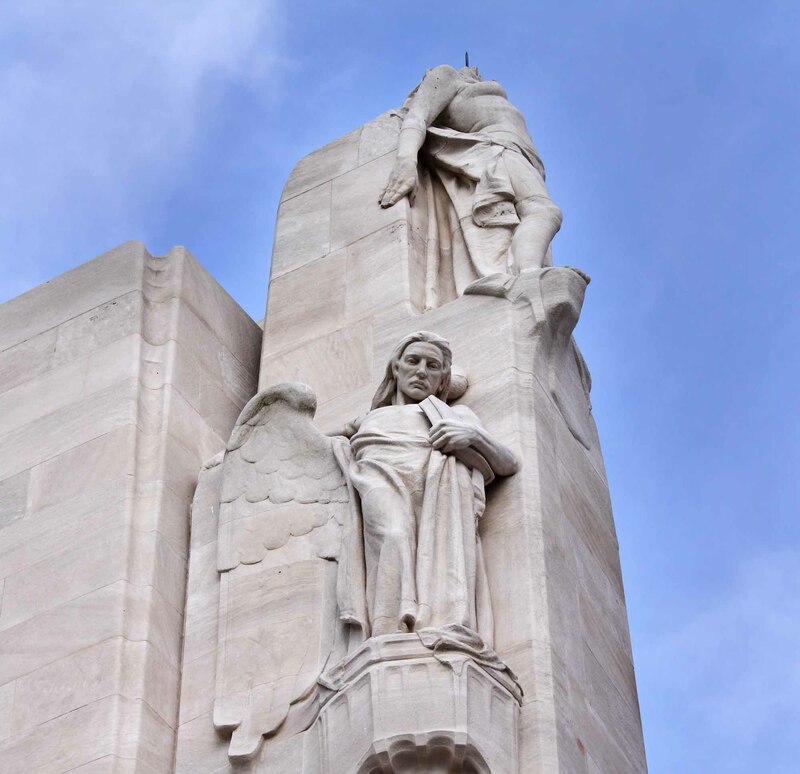 They would be successfully refined, contributing to the achievements of the corps in 1917 at Vimy Ridge and Passchendaele. Mary Riter Hamilton, oil on commercial canvas board. The Royal Newfoundland RegimentAn authoritative history of The Royal Newfoundland Regiment from the website for National Defence and the Canadian Armed Forces.